Mrs. Linda Lea Robinson Smith, 72 of Auburn, passed on to her eternal home in Heaven Saturday, March 30, 2019, at her home in Auburn. Mrs. Smith was the loving wife of Dr. Ronald Smith (Ron). A visitation will be held Monday, April 1, 2019, at JeffcoatTrant Funeral Home from 5:00 pm until 8:00 pm. A second visitation will be held Tuesday, April 2, 2019, at Lawrence Funeral Home in Moulton, AL from 6:00 pm until 8:00 pm. Funeral services will be held Wednesday, April 3, 2019, at Corinth Missionary Baptist Church in Moulton, AL at 11:00 am. Burial will follow at Moulton Memory Gardens. Linda was preceded in death by her parents, Charles Porter Robinson and Reba Lea Houts Dozier; and a sister Diana G. Flurry. She is survived by her husband of 54 years, Ron of Auburn; children Melanie D. Hamm and husband Doug of Birmingham, Michael Shane Smith and wife Sarah of Auburn, Meredith B. Smith of Auburn, Autumn P. Smith of Auburn, and Forrest L. Smith and wife Kelly of Graceville, FL. ; brothers Charles Porter Robinson, Jr. and wife Carla of Dallas, TX, Scott Clarence Robinson and wife Minta of Aldarado, TX; and grandchildren Chloe Michelle Turnbull-Smith, Katherine Quinones, Gracelyn Faith "Gracie" Smith, Skylar Danielle Smith, Olivia Quinones, Austin Davis, Ashley Davis, Sydney Smith, Ethan Smith, Jason Smith; cousins Danny and Rhonda Houts of Odenville, AL, E. Eugene & Jeanette Houts, Jr. of Odenville, AL, Ellis (Robinson) & Judy Burgess of Athens, AL, Buddy & Peggy (Robinson) Hairston of Helen, GA, Johnny & Laurie Robinson of Jemison, AL, Tom & Colleen Robinson of Seattle WA, along with numerous extended family members around the country. Linda was born on July 29, 1946, in West Palm Beach, FL. She attended elementary and junior high school in parochial and public schools in Detroit, MI where Friday night sock hops were the beginning of the doo-wop and Motown music era. Her family relocated to Birmingham, AL where she initially attended Woodlawn High School, but later graduated from West End High school in 1964. Linda met Ron when visiting friends in his hometown of Moulton, AL during the summer of 1961. Linda and Ron were married on September 4, 1964, and made their home at Auburn where he was completing his master’s degree work at Auburn University. Following graduation, they worked and lived in Decatur, AL for a short period. In September of 1967, Linda and Ron returned to Auburn University for his doctoral studies in the Department of Entomology. During that time she supported his graduate work by working as a secretary for the Alabama Cooperative Extension Service. Little did she know that Ron would later work for the same organization for over 45 years. Their first child, Melanie, was born in 1969. Following Ron‘s graduation, the family moved to Marion, Alabama where Ron taught and Linda attended classes at Judson College. In 1972 they return to Auburn when Ron began his career as an Extension entomologist. Linda attended Auburn University but placed her highest priority on being a wife and a mother. Over the next several years additional children Shane, Meredith, and twins Autumn and Forrest were born. Once the twins were born, Linda was very instrumental in organizing the Mother Twins Club of Auburn-Opelika. 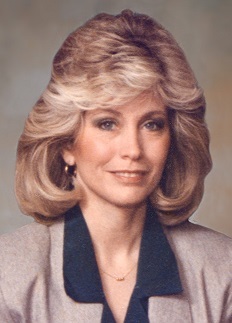 As the children entered public schools, Linda began her career utilizing her people skills and entrepreneurial spirit. She became a skincare consultant with Jafra Cosmetics and at one time had more than 40 people under her leadership. She later worked for a number of years as an office manager for Soft Tissue Therapy. Following that she started her own gift shop business, Private Collections. During all of this time, she was a loving, selfless mother to the five children and all of their friends. Many of the children’s friends viewed her as their second mom. Linda had a very loving personality toward everyone and wanted to be loved in return. The family’s highlights consisted of many trips to the beach or mountains, often with numerous children’s friends going along. Also, with several children involved in sports and other activities such as modeling, Linda kept a very busy schedule. Ron and Linda were fortunate to travel to beautiful places such as Germany, Austria, Greece, Mexico and numerous week-long trips to the Caribbean islands. Linda and Ron were both members of Corinth Missionary Baptist Church of Moulton, AL for more than 50 years. The family would like to share a special appreciation to the numerous caregivers who provided Linda with care over the years.